at the Magnet Hotel, Ferrybridge. Committee: Debby Aspland (Chair); Simon Curtis (Secretary/Treasurer); Neil Aspland & Stuart Topps (Committee members). Teams Present: Featherstone Phoenix (Ted Winter); Flanagan’s Army (Simon Curtis); G-Fivers (Steve Clarke & Dave Wright); Kippax Ex-Service Club (Dave Oldfield & Benny Ward); Magnet Dudes (Dave Bill, Ebb Saxton & Steve Scott); MB’s Leading Ladies (Helen Allen, Debby Aspland & Denise Miles); Olde Taverners (Nick Clapham); Railwaymen (Neil Aspland); Rockin’ Gladiators (Norman Carr & Geoff Swain); Vulcan Bombers (Mick Edwards); Vulcan Mosquitoes (Helen & Stuart Topps). 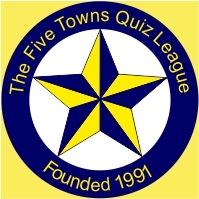 At the start of the meeting Simon Curtis suggested a minute’s silence to think about those FTQL members that had passed away over the last season: Tony Davis & Martin Saul (Featherstone Phoenix) and Michelle Bradley (Leading Ladies). The FTQL Constitution was brought before the AGM. It had one extra amendment made by the secretary concerning the timing of the resignation of the committee. The new constitution states that all committee members will resign at the end of each season and anyone wishing to apply or re-apply must do so at least 14 days before the AGM; while this still stands, it was decided that the outgoing committee would remain in position until the point of the AGM when the new committee would be chosen. This was to ensure continuity of the running of the league all year round. This amendment and the constitution were then voted upon by members present (using one vote per team) and passed unanimously. The balance sheet was presented to members and accepted. Subscriptions for the season 2018-19 will remain the same as last year at £4 per team per match. Geoff Swain has resigned from the committee at the end of the season, leaving a position available. Helen Topps applied for the position and was accepted. The following people were re-instated as committee members: Debby Aspland (Chair), Simon Curtis (Secretary), Neil Aspland and Stuart Topps (committee members). Stuart Topps was also elected to the new position of Treasurer. Helen Topps requested a rule to be created to prevent any professional quiz players joining the league. This was voted against by 7 out of the 11 teams present. Phil Garner will continue to set the questions for the upcoming season. Ted Winter brought forward a suggestion that the half-time change should be decided upon by the team who won the toss at the start of the game. 6 of the teams voted for the current procedure to remain as is i.e. the team with the fewest points at half-time deciding whether to change. Neil Aspland asked members to consider having a multiple-choice round. 2 teams voted to introduce this; 4 voted to trial it until the mid-season meeting and 4 voted for no change to the current format. The final decision was given to the Chair who decided upon a trial. Following a discussion with members it was agreed that this would occur 3 times (once a month) until the mid-season meeting in December. It would take the form of a written round of 5 questions worth 2 points each, and on the designated weeks it would be a replacement for Round 5. No new teams. Golden Lion Dudes have moved venue to the Magnet, Ferrybridge. Etiquette Meeting: Monday 10th September 2018. 8.30 pm start. Venue: The Cobbler, Pontefract. Debby Aspland has provided information leaflets regarding the proposed agenda. Charity Night Quiz: Monday 24th September 2018. No venue was agreed upon in the meeting so the committee will address this asap. Dave Bill will provide the quiz. Commencement of League Games: Monday 1st October 2018.